"The best ham. It's one of my must-see when I'm in Barcelona." "Excellent; perfect place to learn the secrets of ham." "Excellent and friendly staff. 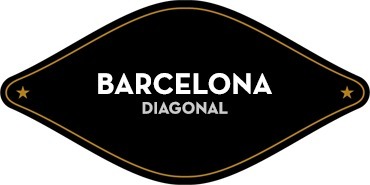 Best cured ham in Barcelona!" 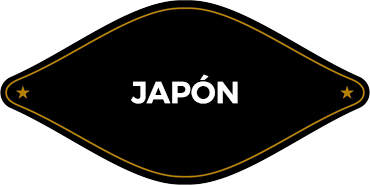 We are Passionate about pure-bred acorn-fed Iberian Ham. We offer you a culinary product that we are proud of. 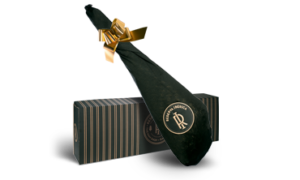 100% pure-bred acorn-fed Iberian Ham produced and matured according to our own exacting Quality standards. 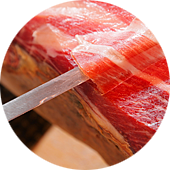 Our Iberian ham respects the most ancestral values of the Dehesas of the southeast of the Iberian Peninsula. Iberian hams and shoulders made in an artisanal and natural way. Get a knife or a ham holder for free by buying one whole ham. It is the best way to eat Iberian ham or shoulder. They have been sliced by our master slicers and vacuum-packed instantly. 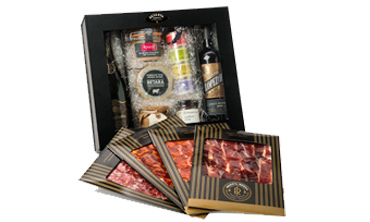 Accompany our Iberian hams with high quality gourmet products. 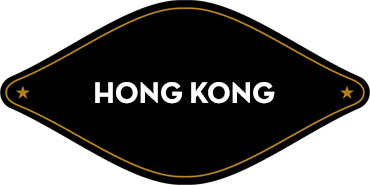 We organize your deliveries to clients and friends efficiently. There are five requirements to get a sublime quality ham. If one of these five requirements is missing, your ham is not an acorn-fed Iberian ham and much less a Reserva Ibérica ham. 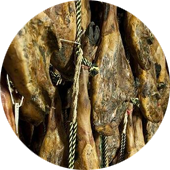 We place at your disposal Acorn-fed hams that come from 100% Iberian pig farms where they are raised in complete freedom in the best dehesas of the Iberian Peninsula. 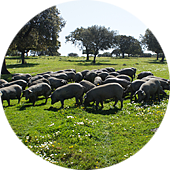 Their feed is based on acorn and fresh pastures during a period of time called Montanera. 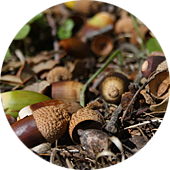 The oleic acid from the acorns is what gives our Iberian ham its unique taste and texture. 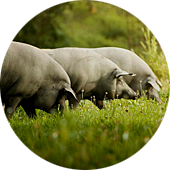 Our hams come from 100% Iberian pigs that grow up strolling along the dehesas of the southeast of the Iberian Peninsula. They are strong and healthy animals with excellent genetic constitution. The basis of a great ham. 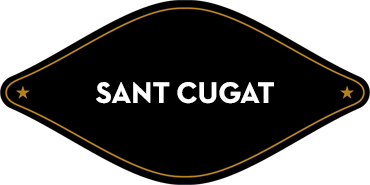 We ensure that each piece naturally matures as long as necessary in the solitude and silence of the cellars. Unhurriedly. We follow the secret technique locked for centuries by the ham masters. 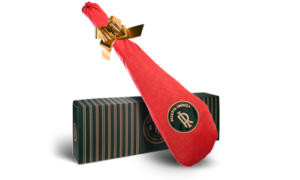 In Reserva Ibérica stores, you will be attended by professional and expert ham cutters; they are able to enhance the flavour of every slice of ham with an accurate cut. 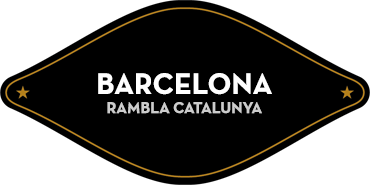 "It is one of the best, if not the best, place to buy high quality ham in Barcelona"
"A must visit place for all the visitors to Barcelona"
"It shines out with its own light in a city that stands out for its gastronomy"